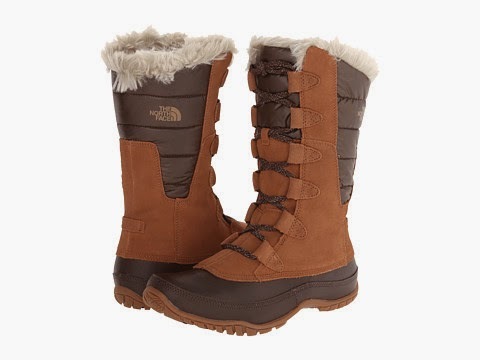 Winter is right around the corner and warm durable boots are a must! I love the look of suede, but it's generally not practical for traipsing through the slush and snow. However there are a few boot lines that make waterproof suede! Yes, they are pricey but you'll get years of wear out of them (cost per wear is what matters) and your feet will stay dry and toasty. La Canadienne Montreal is an attractive boot line that you'll reach for again and again. A unique lining helps to wick away moisture so feet stay dry-- and the suede is pre-treated to stay waterproof! 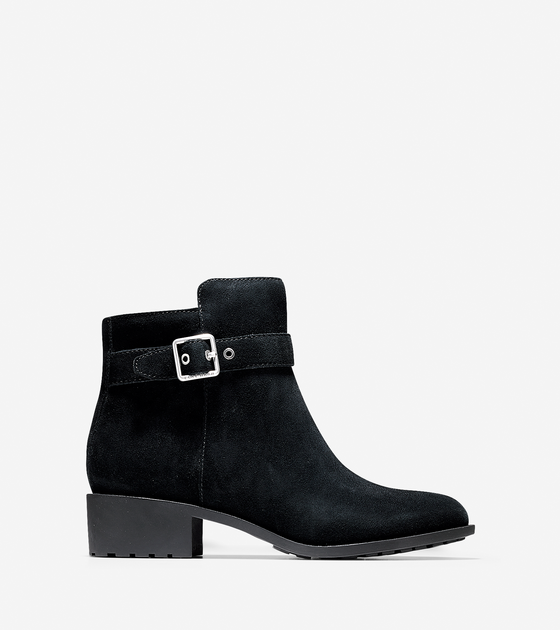 Generally these boots run between $200-$300, however keep on top of the sales for great deals. 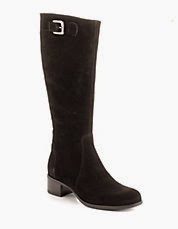 I just picked up a pair at Lord & Taylor 's boot sale for $135.00! I won't kid you, Italian made Aquatailia by Marvin K. boots are expensive, but so incredibly comfortable and durable. I bought a pair of black suede Aquatalia's three years ago and they still look brand new after many jaunts in the slush and snow. The exclusive weatherproofing process and insulated lining, will keep your feet warm and dry. Available in many style from Nordstrom. Mid-winter sales are a great time to buy as you can save hundreds of dollars off the retail price. Cole Haan is now making waterproof suede too! Love these Indiana short boots with a gold buckle detail---adorable with tights and a sweater dress or with skinny jeans and a chunky sweater!